The frauds rake in millions from the sick and elderly -- leaving them with nothing. This is a story about the little-known company that cashes the checks. And it happens victim by victim. Pat Wilson still doesn't know what prompted her mother to send that first check to one of these schemes -- whether it was dementia, the thought of winning money that she could leave for her four children, or just old age. In hindsight, there were clues that something was off -- like the growing stacks of mail her mother received each day or her offhand comments about winning the lottery. But by the time Wilson pieced it all together, she was horrified to discover just how victimized her mother had become. In a little more than a year, the 91-year-old widow had written 749 checks, adding up to more than $29,000. The vast majority of this money was sent in response to phony prize notices and personalized letters from psychics promising financial fortune. When Wilson turned to the Iowa Attorney General for help in 2014, she says her mother had no money left in her checking or savings accounts and had racked up thousands of dollars in credit card debt. She had even spent nearly $1,000 in a matter of months on the international stamps needed to mail in her payments, Wilson later determined. 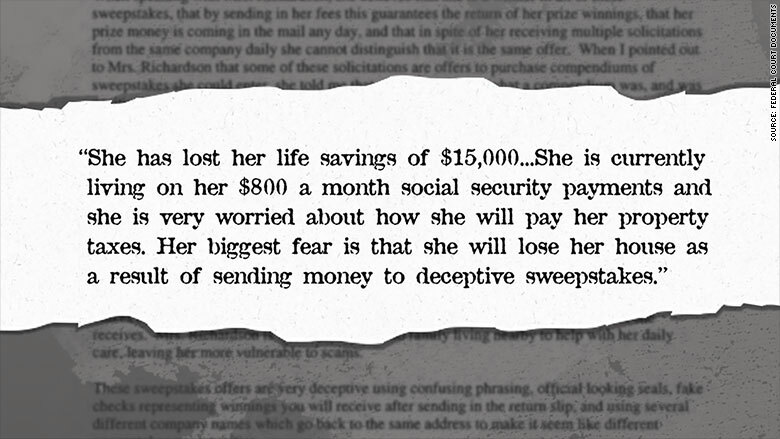 "The con artists were reaching the widow through each day's mail in what had become a feeding frenzy, as scammers from all over the world descended upon this vulnerable woman," the Iowa Attorney General's Office told us. 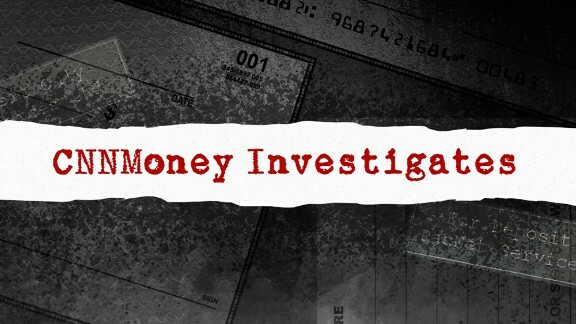 And as state investigators scoured the piles of checks and letters looking for clues, they came across a surprising tie that connected many of these seemingly unrelated schemes. Of the 749 checks from Wilson's mother, the Iowa Attorney General determined that 566 (or around 75%) were deposited by an obscure Canadian company named PacNet Services, Ltd. This added up to nearly $24,000, which went to at least 50 different mail fraud schemes (involving at least 18 separate companies), according to the agency. 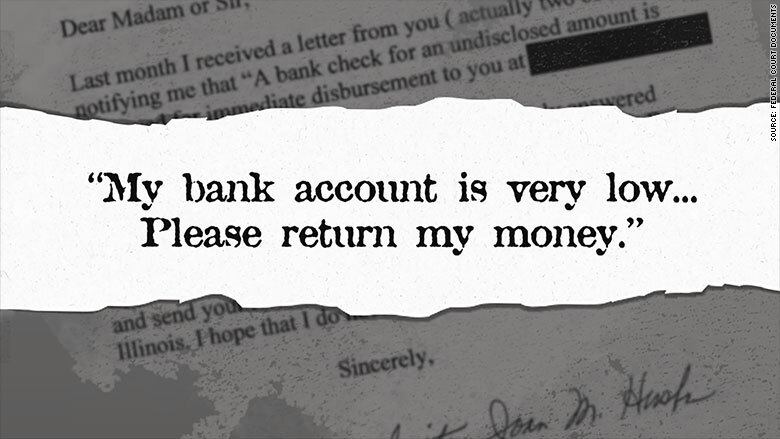 And this is just a small fraction of the tens of millions of dollars in scam proceeds that have been deposited by PacNet, a new CNNMoney investigation has found. Known as a payment processor, PacNet has profited from global mail fraud for years. Over the months we spent digging into this shadowy world, we found an alarming number of unethical and flat-out criminal schemes that have used PacNet to process payments from their victims. In this world, con artists perpetrate the fraud. PacNet deposits the checks. And soon after we started investigating, we discovered that we weren't the only ones interested in this company. At the same time we were digging through government filings, consumer complaints, fraud lawsuits and other documents, the U.S. government was conducting its own investigation into PacNet. And we have learned that today, PacNet has become one of the targets of an unprecedented crackdown on global mail fraud. The government says PacNet is part of an international network that has stolen hundreds of millions of dollars from millions of elderly victims. Details of the various law enforcement actions are still developing, but CNNMoney has exclusively confirmed that a Canadian payment processor named PacNet is a key target in this crackdown. In an unprecedented move, the U.S. Treasury Department has deemed PacNet a "significant transnational criminal organization" landing it on the same short list as some of the world's most notorious mobsters, drug cartels and murderers. In another action, the U.S. government is seizing PacNet funds held at a U.S. bank, alleging that PacNet used the account to "facilitate money laundering" for illegal schemes -- noting that "a staggering quantity of mass mailing fraud has gone through PacNet accounts." The government found that one company alone, for example, was raking in more than $50 million a year from victims. And it was using PacNet to process these payments. "PacNet is the payment processor of choice in many mass mail fraud schemes," a Postal Inspector wrote in a court filing Thursday. 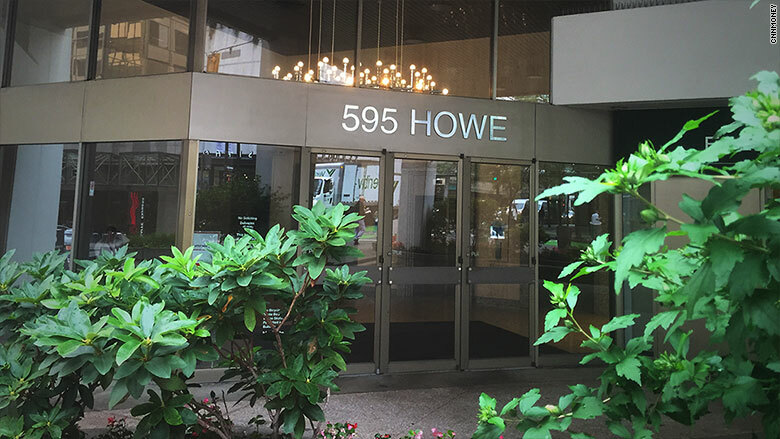 The building where PacNet's offices are located in Vancouver, Canada. On Friday, PacNet denied the allegations in a post on its Facebook page and said it has decided to stop processing payments for direct mail companies. "We absolutely and categorically reject the allegations made against us regarding our processing for direct mail campaigns. We will vigorously defend ourselves against these unproven allegations," the company wrote. And when we asked the company months ago why it had processed payments for so many scams, the company responded by threatening to sue CNN. "If PacNet is even named in a CNN article that purports to link (falsely) the Company's legitimate payment processing services with fraudulent direct mail activity, the mere association created by the article will be enough for banks and other financial institutions worldwide immediately to close the Company's financial accounts, and will make it impossible for the Company to establish new banking relationships," Tom Clare, an attorney representing PacNet, wrote in a letter to CNN's general counsel. "Any article regarding the misuse of payment processing services by fraudsters must not name or otherwise identify PacNet." But even before our investigation began, the Iowa Attorney General had already connected PacNet to all kinds of scams. 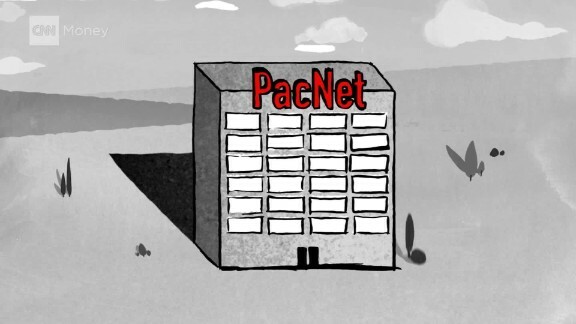 The agency told us that while PacNet had claimed to review the mailings sent by clients, the one mailing it obtained from PacNet's own files via subpoena was "a deceptive sweepstakes ruse, a further indicator that PacNet was aware of the key role it was playing in supporting mail fraud schemes that victimize the elderly." PacNet's attorney said it had cooperated willingly with Iowa's investigation and that PacNet did not have copies of any of the mailings the agency was specifically investigating. And he was adamant that the company has never knowingly processed payments for scams. "PacNet has consistently and unequivocally stated that it has never continued to process payments for any promotion that it knew to be deceptive," he said. Of course, not everyone using a payment processor is a scammer. There are perfectly legitimate reasons a company could turn to a payment processor, such as easier access to the banking system, lower fees and global reach. But there are plenty of illicit reasons as well. To help shield their operations from authorities, fraudsters need a way to process payments that won't easily link them to their scheme or raise red flags. That's because many banks will shut down an account or report them to authorities if they detect suspicious activity, like a high number of small deposits, complaints or refunds. So con artists and other schemers instead turn to a payment processor like PacNet. PacNet has relationships with banks around the world, and can set up accounts for clients in the countries they do business -- processing payments in currencies ranging from the British Pound to the Indonesian Rupiah. 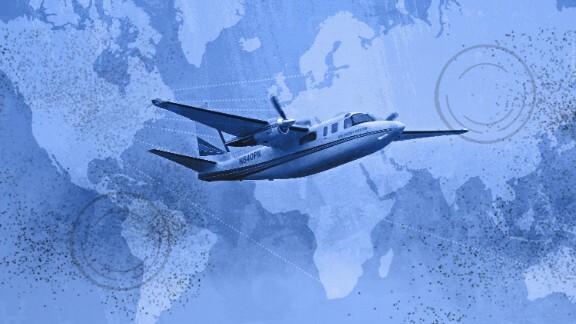 This gives fraudsters the key ability to access victims and bank accounts in countries far from their home base. Say your grandmother who suffers from Alzheimer's gets a letter telling her she's won $1 million, and all she needs to do is send in $20 to claim this life-changing prize. The letter looks official, so she gets out her checkbook and mails that $20. Payments like these often end up with PacNet. PacNet then deposits the money into an account under its own name and takes a cut as a commission. It holds on to the rest of the funds, until they are eventually sent to the client's own bank account (typically through a wire transfer). There are so many layers that victims typically have no idea that PacNet is involved, except in rare cases where frustrated family members have found fine print on the back of the canceled checks and traced the deposits back to PacNet. California resident Jennifer Bell, for example, only recently noticed that a handful of checks (sent to three different schemes) that she saved from her elderly relative's digital bank records were all stamped with PacNet's name. The 87-year-old woman, who Bell says was struggling with dementia at the time, had sent tens of thousands of dollars to all kinds of different scams. 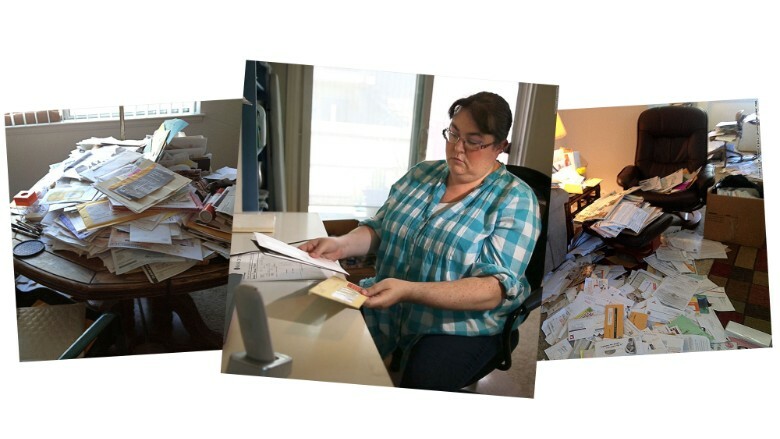 Jennifer Bell's elderly relative was inundated with junk mail. 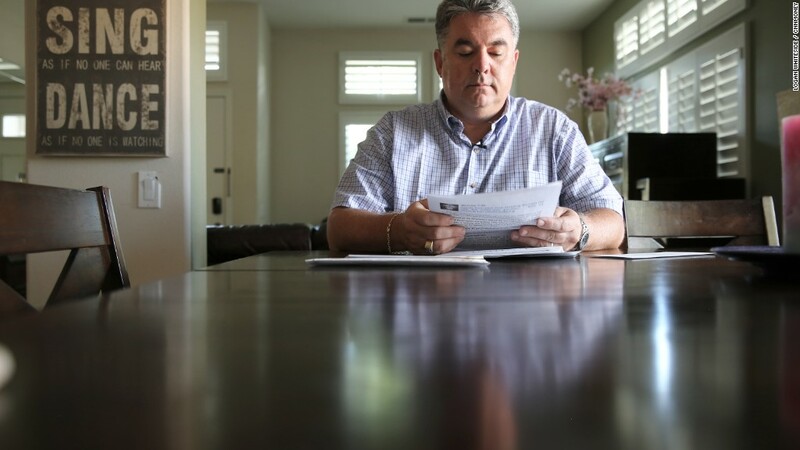 Bell and other family members realized how bad the situation had gotten when they learned she had drained the entire $100,000 balance on the reverse mortgage she had taken out on her home -- forcing her family to give up the property. "It's horrifying to think she was able to give that away in less than five years... of all of the things she didn't want... she didn't want to be in a nursing home," said Bell. "Because she gave all of her money away, her worst nightmare happened." She passed away last year. People from around the country have lodged complaints with government agencies after learning PacNet was cashing checks their relatives sent to scammers. Dozens of complaints filed with various state attorneys general and the Federal Trade Commission about mailing scams like these echo what Bell found. 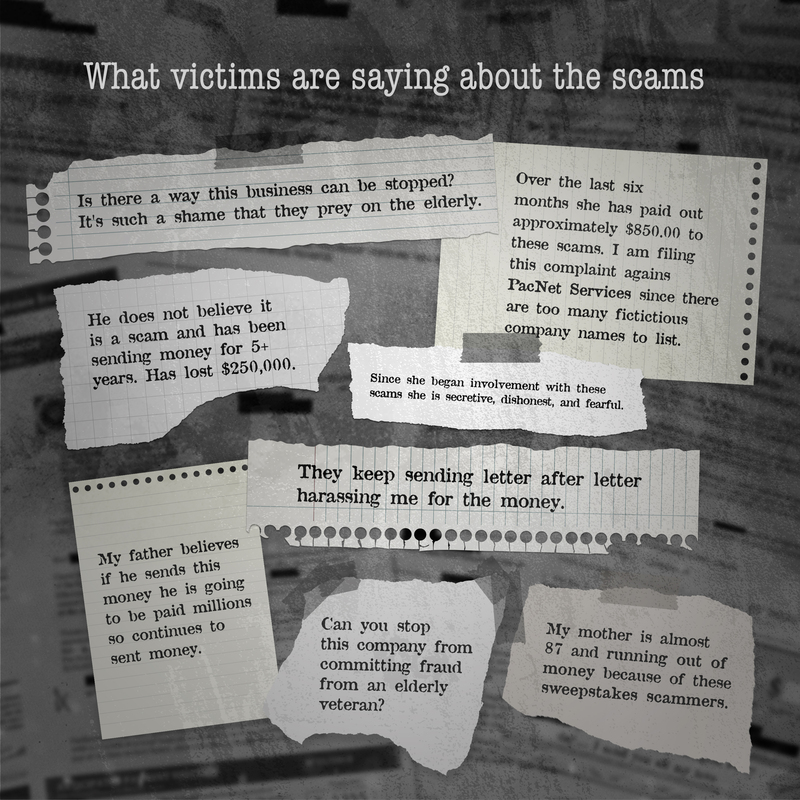 Often, family members have filed these complaints after sorting through checks their loved ones had sent to different scams and realizing that the common thread was the "PacNet" stamp on the back. 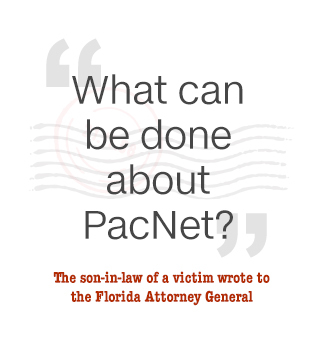 One man told the Florida Attorney General's Office that his wife called PacNet to beg them to stop the solicitations that had been hounding his 84-year-old father in law who was suffering from Dementia. Yet the mailings kept coming. While PacNet doesn't send out solicitations itself, victims of the scams it processes payments for often don't know where else to turn to get their money back or make the letters stop. "What can be done about PacNet?," he wrote to the agency, saying his father-in-law recently went through bankruptcy and was living off Social Security and a small pension. And just last year, another woman wrote several pages to the Florida Attorney General about her 84-year-old mother, Ruby Helms. She said Helms had been spending every cent of her Social Security and Veteran's benefits on scams -- ultimately losing more than $50,000 and cashing out retirement investments, pawning her jewelry and going into serious debt. 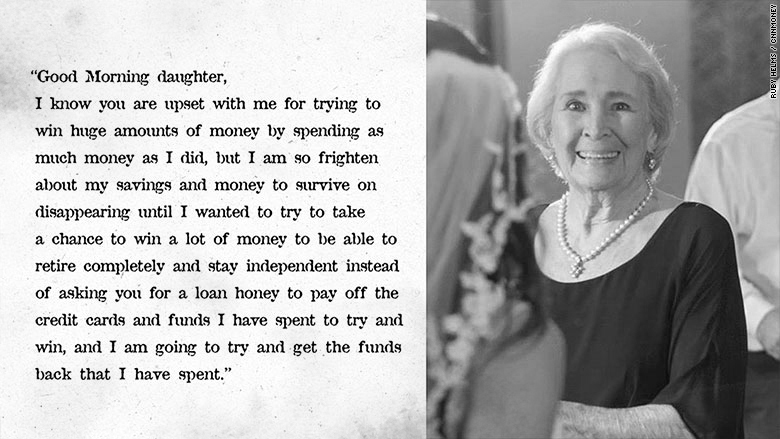 Ruby Helms, 84, sent her daughter heartbreaking emails about her growing financial problems. We first heard about PacNet while digging into the network behind a $200 million mail scam centering on a French psychic named Maria Duval. This worldwide operation pumped out millions of letters promising victims that psychic readings and predictions from Duval were the secret to turning their lives around. All they needed to do was send in money. The Duval scheme was shut down in the U.S. earlier this year and a criminal investigation is ongoing. PacNet was the company that deposited many of these payments -- continuing to do so even after a "clear warning" from the North Dakota Attorney General, according to the U.S. Treasury Department. But what we didn't know at the time was that the Duval letters were just the beginning. Founded more than 20 years ago, PacNet operates out of a nondescript highrise in downtown Vancouver and claims to be one of the industry's leading payment processors. In a letter from its attorney, it claimed its roster of clients includes universities, publishers and charities "as well as marketing companies that advertise and sell goods and services internationally through printed media, Internet commerce, and by mail." But in the wake of our months-long investigation into the Duval empire, we found scam after scam that used PacNet to process payments. 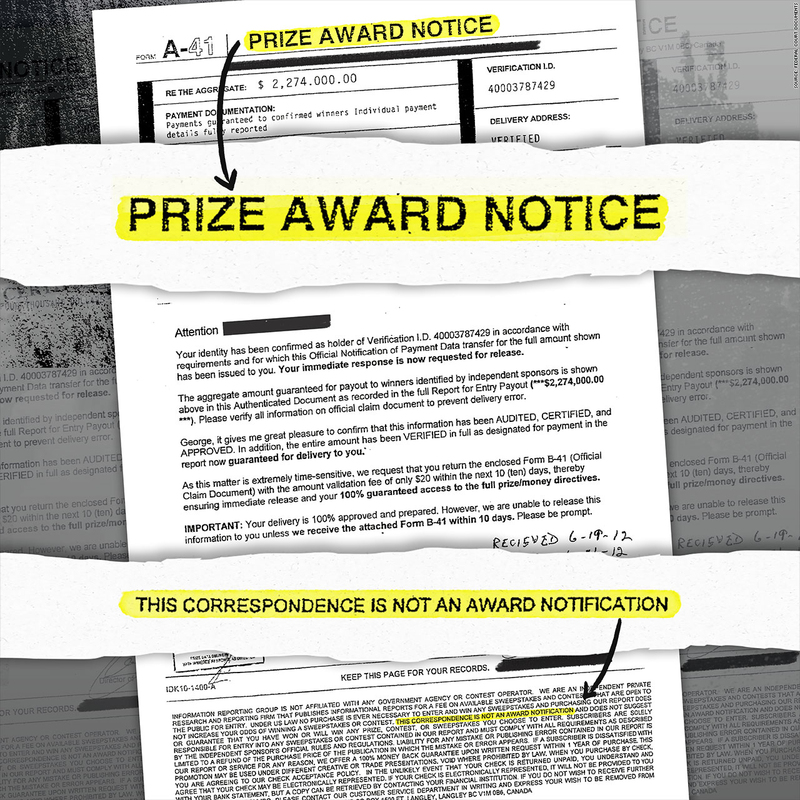 This sweepstakes letter, from an operation that used PacNet and is now charged with mail fraud, claims to be a "Prize Award Notice," but the fine print at the bottom says otherwise. Dominated by promises of huge winnings from clairvoyants and bogus prize and sweepstakes agencies, these schemes have drawn angry rants from consumers for years. Making matters more confusing for victims and their families, the solicitations would often direct consumers to make out checks to three-letter acronyms or generic first names. And the letters typically come from nondescript P.O. boxes and companies with ever-changing rosters of names -- making the schemes nearly impossible to trace. Many schemes were not just lambasted by victims, but by scam alerts and warnings issued by government agencies. Others have had their mail seized to keep predatory solicitations out of the hands of victims. And we found more than a dozen examples from court and government records where schemes using PacNet to process payments have been hit with government fraud lawsuits and shut down by law enforcement -- resulting in huge financial penalties, criminal charges and even time behind bars. Even in the face of our findings, PacNet claims to do everything in its power to prevent fraud. And while it says this includes reviewing client marketing materials and cooperating with authorities as soon as wrongdoing is identified, it acknowledges that it does not "necessarily see every mailing piece in circulation, especially when, as is sometimes the case, a dishonest merchant takes affirmative steps to mislead" the company. PacNet's attorney said in a letter written to CNNMoney in June. He noted a recent plea deal where a former defendant in a mail fraud case said the operation misled PacNet and other service providers about the actual mailings being sent out. "To the extent there have been isolated instances in which PacNet clients have, unbeknownst to the Company, misled PacNet and misused PacNet's legitimate payment processing services to support their own deceptive conduct directed at consumers, PacNet is no different than any bank, credit card company, or other financial institution," PacNet's attorney said in a letter written to CNNMoney in June. Yet some of the schemes have come from serial con artists who have repeatedly had their operations shut down by authorities. Take Las Vegas fraudster Glen Burke, who has been the target of law enforcement actions for two decades and was permanently barred from telemarketing in 1998. The Federal Trade Commission sued Burke in 2013 alleging that he ignored that ban, and the government says that PacNet was processing payments for his schemes as recently as a few years ago (only stopping after the FTC stepped in). This letter, about an 86-year-old woman who fell victim to Burke's sweepstakes scams, was filed as part of the federal case against him. In a court declaration from the FTC case, PacNet founder Rosanne Day acknowledged in 2013 that PacNet had processed nearly $18 million "on behalf of Glen Burke" since 2007. A PacNet financial statement filed as evidence shows that at one point PacNet charged a commission of 3.5%. If this was the case for all $18 million it processed, PacNet would have taken in around $600,000 in commissions. In the FTC case, the agency shut down two different prize-winning schemes, allegedly run by Burke -- one perpetrated by mail, the other by phone. Court documents include emails where Burke and his associates discuss trying to avoid U.S. authorities and joke about jail time. And in letters seized from Burke's office, victims in dire financial straits beg for the money they'd been promised. When raided by federal law enforcement officials, Burke's office was full of letters from victims. While Burke claims he was simply a consultant to the schemes, PacNet itself said it "disbursed funds in accordance with instructions" from Burke, and the federal government has found that Burke was the one calling the shots. Burke was ultimately hit with $20 million in judgments for running these schemes. He is currently appealing one of these judgments. And his attorney is adamant that Burke is being wrongfully targeted by law enforcement and he was not always the one in charge like the government has said he was. PacNet's attorney said the company has strengthened its compliance program in the wake of the Burke case by adding additional screening measures. This week, Burke was hit with yet another action, when he and an alleged co-conspirator were indicted on 24 counts of mail fraud and other charges. He was arrested by U.S. Postal inspectors and taken in custody with U.S. Marshals on Tuesday. The Burke case isn't the only time PacNet's name has surfaced in government fraud filings as authorities have attempted to shut down schemes using the company to process payments. All the way back in 2002, for example, U.S. government officials seized hundreds of thousands of dollars from PacNet accounts, claiming the funds were illegal proceeds from foreign lottery solicitations. In a settlement, which the government said did not constitute admission or proof of PacNet's wrongdoing, PacNet agreed to forfeit $360,000 of these proceeds to the U.S. government and pledged to never facilitate payments for this kind of scheme again. Just five years later, Australian authorities discovered that PacNet had been the payment processor for 37 different sweepstakes and lottery scams. PacNet cooperated with the investigation and agreed to refund $300,000 (Australian dollars) to victims of these scams. At the time, officials emphasized that none of these scams would have been possible without a way to transfer cash from the victims to the perpetrators. "If all businesses providing cheque transfer services took appropriate steps to monitor their customers' activities for potential scams and then refused to provide services to the operators, the life blood of the scams would be cut off," the Australian consumer protection agency said. For years, PacNet has provided this life blood. Using its services, fraudsters have made their millions. 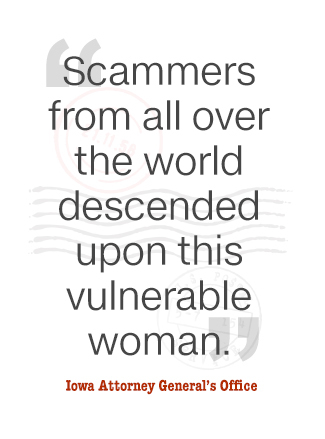 All while the victims -- little more than faceless names on envelopes to the scammers who descend upon them in their final years of life -- are left penniless. 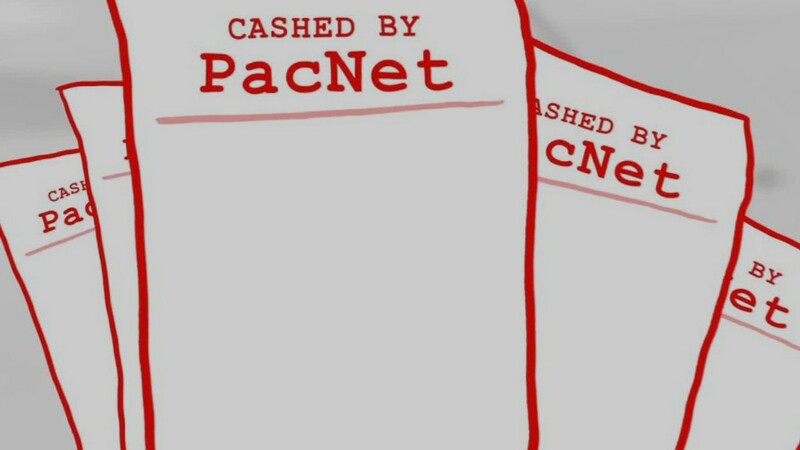 We want to hear from you: Have you or a loved one ever seen PacNet's name on a check? Do you know anything else about the company or the schemes that have used it? Or do you have something else for us to investigate entirely? Please email us at cnnmoneyinvestigates@cnn.com with your thoughts, tips and ideas. Con artists create the scams. This company cashes the checks. © 2016 Cable News Network. A Time Warner Company. All Rights Reserved.